Yes, it’s leading up to the Vancouver International Film Festival. It’s to start Thursday September 25th and runs until Friday October 11th. There are a lot of similar expectations from last year that carry over to this year, but there’s one big new expectation for this year. As noted in my summary of last year’s VIFF, 2012 was the last year it was to be held at the Granville 7 Cinema. The Cinema would continue for another three weeks until it was too close for good and be built into a condominium strata. All the volunteers and supporters of VIFF received a summary email where we were told that there would be a new main facility decided by the spring. The months of waiting would keep us guessing and the changes in the Vancouver movie theatre scene would have many of us nervous. First was the closure of the Ridge Theatre at the beginning of February of this year. 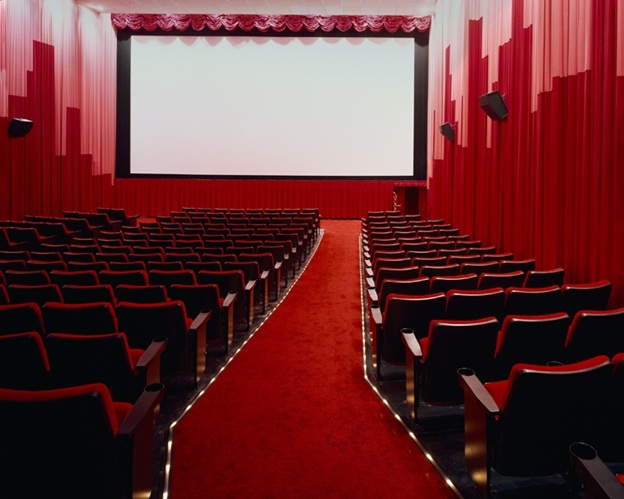 The second would happen later that month as Festival Cinemas–the independent cinema group that ran The Ridge, The Park and Fifth Avenue cinemas–ceased existence upon the president’s retirement and left the two remaining cinemas in the hands of bigwig Cineplex Odeon. The question of which main theatre would be in charge of the VIFF left followers further in the dark. So there’s no one central location for this year’s VIFF. This will take some getting used to in its post-Granville 7 era. It’s a shame because the Granville 7 was very instrumental in its growth. In fact I was at the volunteer orientation yesterday and the volunteer leaders mentioned that even they are having to try to get used to the new theatres. So this year’s VIFF will be a challenge but it also promises to show a lot. The fact sheet states that 341 films are slated to be screened: over 200 are feature length and 92 are Canadian. Also those of you who attend the festival will notice the Cineplex logo on our volunteer shirts. That’s our new sponsor. So that’s a plus. Hey, having most of the showings at the International Village Cinema helps. I’m back to volunteering again this year. This makes it my sixth year in volunteering. I’m looking forward to it. I’m able to get four days off from work to be able to volunteer during the daytime. So I hope to have a good time. I also hope for this to be a record-breaking year. I know it may be too much to expect for a film festival getting used to a new theatre system. Nevertheless it’s possible. Remember that 2011 is the record-setting year. Wow. Sixteen days over three-hundred films from over 75 countries! The Vancouver Film Festival is back. So get ready to VIFF again!